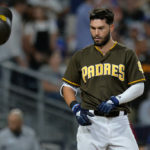 The San Diego Padres were 3-3 on Saturday. Here is a recap of the day’s action. Tacoma scored the tie breaking run in the top of the tenth, to beat El Paso 5-4. Logan Allen (EVT org. prospect #7) got the start for El Paso, working into the 6th and giving up five hits and three runs, all of them earned. He walked two and fanned five. Allen gave up two long balls tonight, which pushed his total to eleven allowed for the season in 149+ innings in Double-A & Triple-A duty in 2018. What’s remarkable is that Allen throughout his minor league career over 360+ minor league innings, Allen has only allowed 16 home runs. El Paso had a 4-2 lead going into the 6th before allowing one run to score in the frame and another run in the 8th to push the game into extra innings. El Paso got all of its runs in the 4th, two off the bat of Francisco Mejia (EVT org. prospect #3) who hit a two-run blast while Dusty Coleman knocked in two more with a one out single. 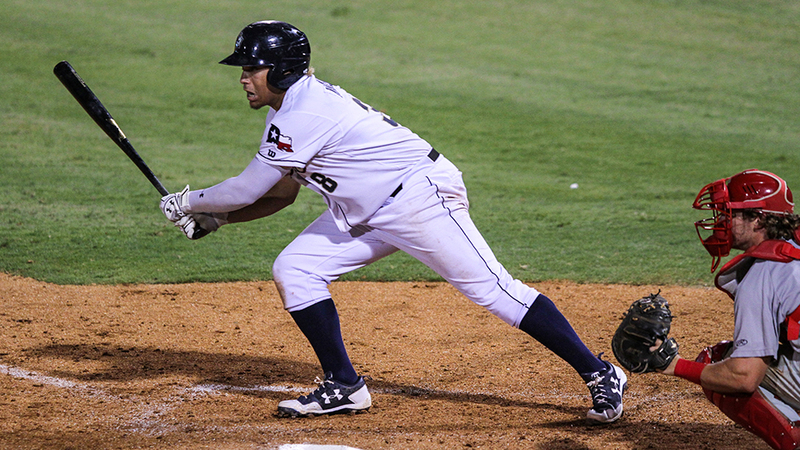 Mejia also stroked his first El Paso triple in the 5th with two outs, but was stranded. 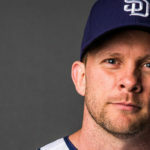 Mejia also recorded his first error of the season on an errant pick off throw to second in the ninth, which moved the runner to third with no outs but avoided damage from it as McGrath pitched out of a runner on third and no outs jam by whiffing the next two hitters and getting the third batter out on a weak grounder. Tacoma returned the favor though when El Paso loaded the bases in the bottom of the tenth, but failed to score after Tacoma scored a run in the top half which proved to be the winner. Kyle Overstreet, who had three hits tonight, has been hot over his last 37 AB’s hitting .378. The Missions hit three home runs, one a three run blast off the bat off Josh Naylor (EVT org. prospect #13) to beat Corpus Christi in a rare Wolff slugfest 12-8. This total was the most combined runs scored this season in a game at Wolff, eclipsing the 17 run total of April 4th vs Arkansas (17 runs scored). 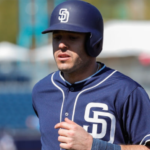 Buddy Reed, after slumping horribly for since he advanced to the Missions has had four good games with bat in a row, going 8-for-17 in this span with a walk and a home run. Kyle Overstreet, who had three hits tonight, has been hot over his last 37 AB’s hitting .378. 19-year-old Hudson Potts continues to struggle, going 0-fo-4 tonight. It will be interesting to see how he handles this adversity moving forward. Ruddy Giron also homered for San Antonio, his first as a Mission. Lake Bachar had another rough outing for the Missions, lasting only four innings, giving up six hits and six runs, all of them earned. 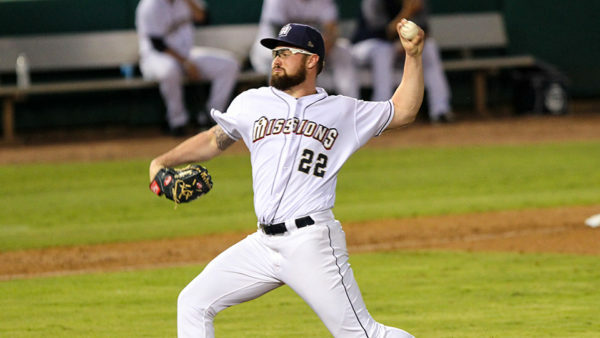 The Missions close their season with two more at Wolff. EVT will be there on Monday, Labor Day for the season finale and last at Wolff for a Padres affiliate before the team moves on to Amarillo next season. 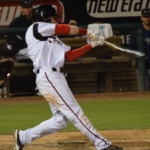 Ronald Bolanos picked up his 6th win on the year as Lake Elsinore took advantage of an early lead to best the JetHawks in the second game of their final series of the year. The Storm bats really came alive tonight as all nine of the starters reached base tonight via either hit or walk. Luis Torrens was the biggest contributor of the night at DH, as he picked up two hits while knocking in two runs and scoring another. 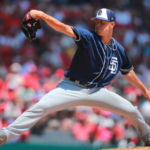 The bullpen was just as impressive as Cody Tyler sent down three of the four batters he faced on strikes and Hansel Rodriguez picked up another four strikeouts in an inning and a third. Lake Elsinore has two more home games left this season to round out Labor Day weekend. 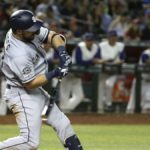 The TinCaps easily had the best night of any team in the Padres system as they routed West Michigan with the offense running on all cylinders. The bats came alive early as Fort Wayne scored two runs in the top of the first on a single by Gabrial Arias and a double one batter later by Agustin Ruiz. The lineup continued to roll as they plated another four in the top of the 3rd on another double Agustin Ruiz, a single by Esteury Ruiz, and a wild pitch that plated Esteury after he had already stolen both second and third. 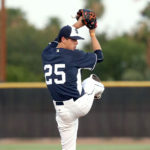 They would go on to score four more runs before the night was over to back a dominant start by Henry Henry on the mound. Only 2 runs scored through Henry’s seven inning, both unearned on account of errors on the 1st and 6th innings. 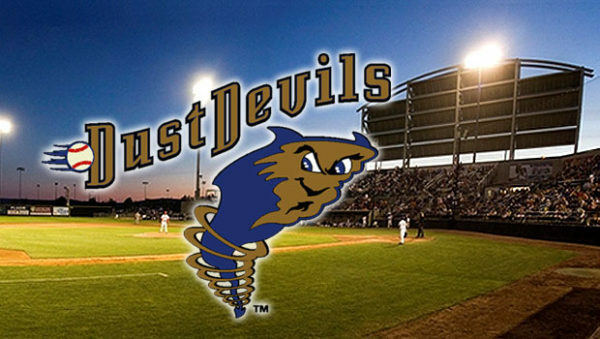 The first game of the day for the Dust Devils was a makeup of their postponed matchup against Everett from 8/19. Tri-City fell behind early as starter Cole Bellinger gave up three runs through four innings of work, including two in the first. He’d give up another in the 3rd before Jonathan Guzman came in to pitch the final three innings of a shortened contest and give up another two while striking out and walking two. There wasn’t much in the way of offense, as the team picked up just five hits in the opening contest. 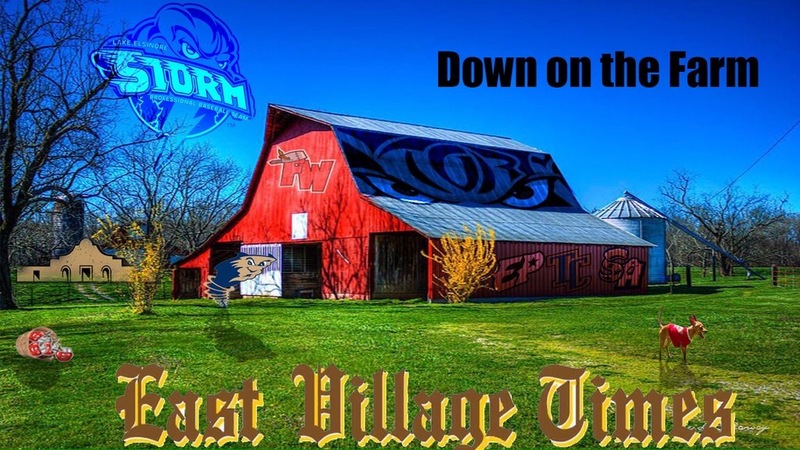 The offense did not improve at all for the Dust Devils in the second game of the night, as they were nearly no-hit through the seven inning contest. The lone hit came on an RBI double by Nick Gatewood in the 7th that knocked in Xavier Edwards. Starter Jeferson Garcia gave up three runs through three innings of work and wasn’t able to get out of the 4th, but the bullpen came in and shutdown the AquaSox offense for the next three innings, allowing no hits and just one walk.